Take a look at a few shots that we were able to capture on an iPhone. 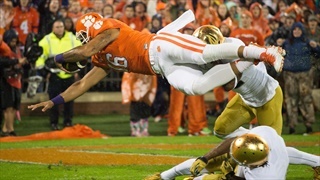 Read over some additional postgame notes after Clemson's 30-3 win over the Irish. 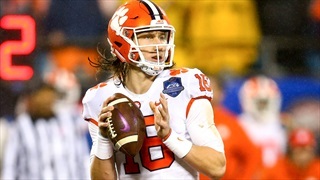 With Clemson's win Saturday, they can call themselves Cotton Bowl Champions for the first time since the 1939 season. 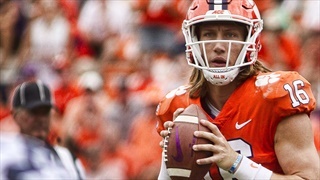 Coach Swinney, Trevor Lawrence, and Austin Bryant all spoke after Clemson's 30-3 win over Notre Dame on Saturday. 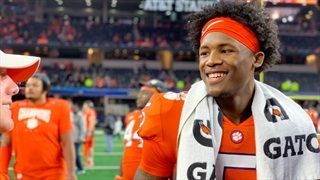 Sure, Clemson’s senior class may have just notched its 54th win in four years and is about to head to its third national championship game. But it was freshmen that played the vital role in getting them there. 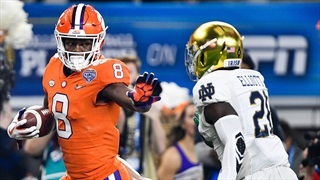 The Tigers used an explosive second quarter to distance themselves from the Fighting Irish and never looked back as Justyn Ross' big day helped lead Clemson back to the National Championship Game. 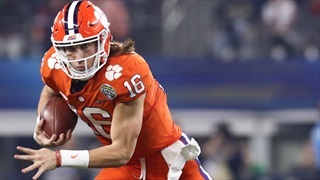 As we close in on kickoff, here are a few things that we believe will play a big role during the 2018 Cotton Bowl. 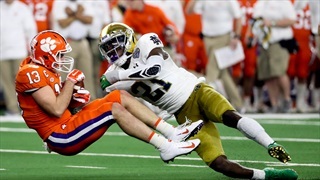 Here are a last few details to look for as Clemson prepares to face Notre Dame in its fourth consecutive College Football Playoff. No. 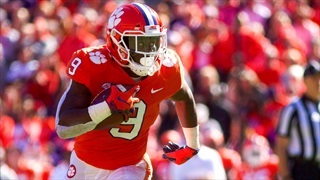 2 Clemson and No. 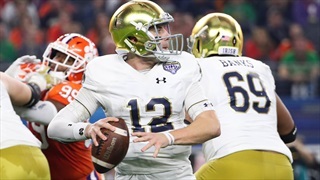 3 Notre Dame square off this afternoon in AT&T Stadium. 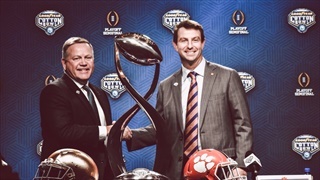 Here's what the national media thinks about the Cotton Bowl matchup. 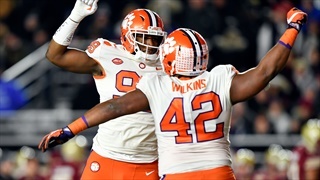 Both Clemson and Notre Dame are undefeated and are playing their best football at this point, but there’s one other common thread in today’s College Football Playoff Semifinal. 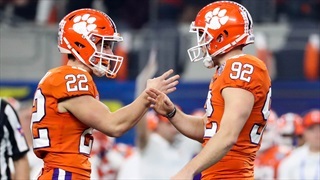 The Tigers and Irish are a combined 25-0 headed into the College Football Playoff Semifinal at the Cotton Bowl on Saturday, December 29th. 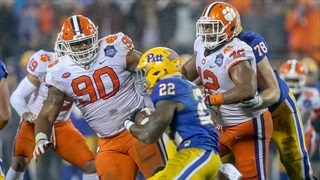 For most teams losing an All-America defensive lineman would be a crushing blow, for Clemson, it's next man up. 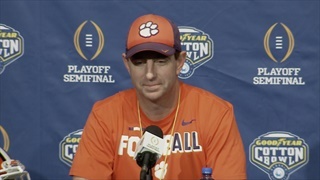 Dabo Swinney and Brian Kelly met with the media for the final time before the Cotton Bowl tomorrow afternoon. 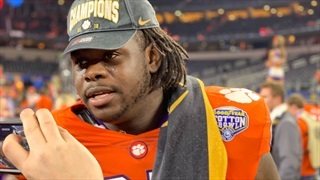 Dexter Lawrence, Braden Galloway and Zach Giella wiil be suspended for the Cotton Bowl. 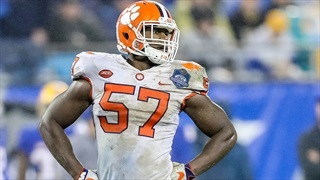 Clemson's linebacker looks to make a statement after missing last year's Sugar Bowl. 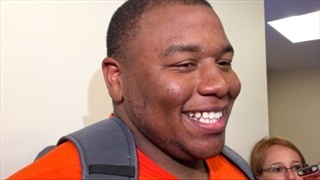 Thursday was another media session for the Clemson Tigers, and it was also the first time we heard from Dexter Lawrence since the news of the failed drug test came out. 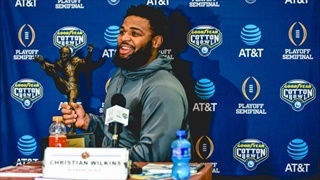 Quotes from Clemson coaches and players at the Cotton Bowl as Media Day took place inside AT&T Stadium on Thursday morning. 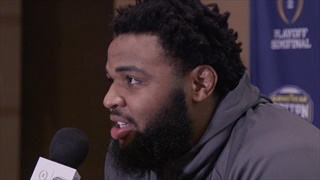 Listen to Christian Wilkins, Trevor Lawrence, Brent Venables and more as they discuss the upcoming contest with Notre Dame. 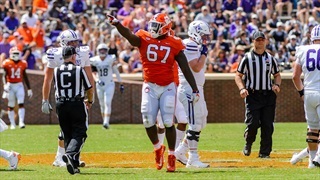 We've got full transcripts from Jeff Scott, Tony Elliott, Brent Venables, Clelin Ferrell, Christian Wilkins, Mitch Hyatt, Travis Etienne as they spoke to the media earlier today.